A poor physician's daughter cures the King of France, and in return is promised the hand of any nobleman she wishes. But the man she chooses, the proud young Count of Rosillion, refuses to consummate the forced marriage and flees to Florence. 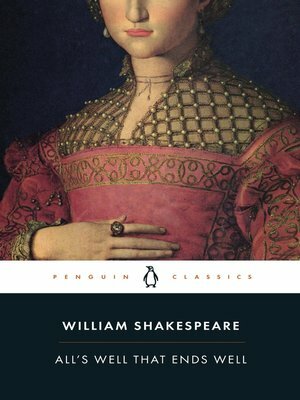 Depicting the triumph of trickery over youthful arrogance, All's Well that Ends Well is among Shakespeare's darkest romantic comedies, yet it remains a powerful tribute to the strength of love.